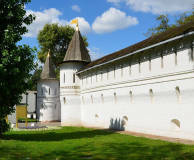 The Novospassky stauropegic monastery is one of the largest active monastic cloisters in Moscow. Every day it welcomes a great number of believers seeking spiritual guidance. 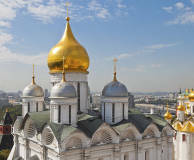 Moscow Transfiguration Cathedral is the main cathedral of this monastery. 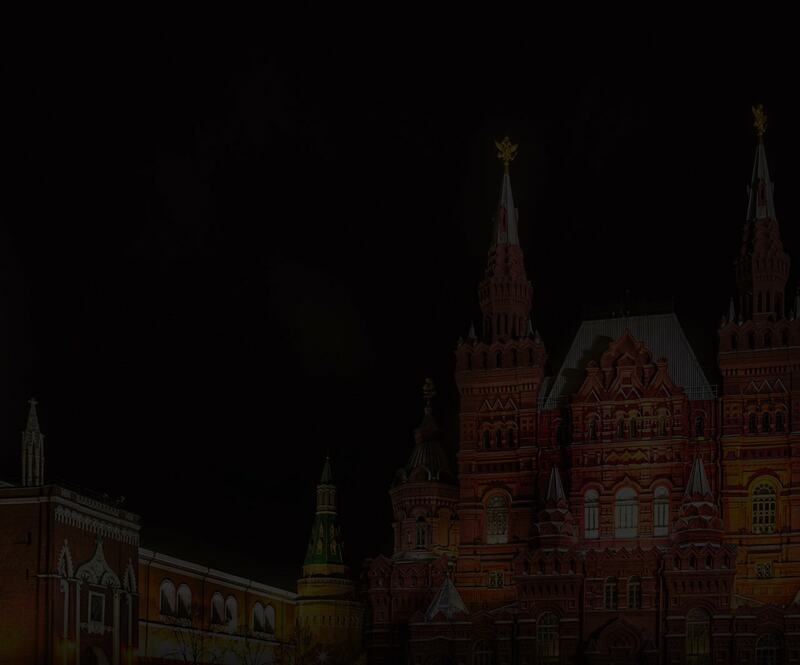 Glas Spiritual Theatre is the only theatre in Moscow that has received the blessing of the Russian Orthodox Church. Excerpts from the Gospels, canons and prayers have all become part of the performances, a novelty after the fall of the Soviet Union. 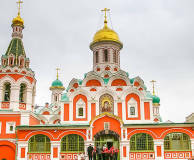 The Resurrection Church in Kadashi (Zamoskvorechye District) is one of the most beautiful churches in Moscow. 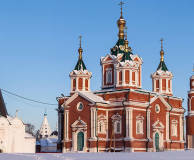 Despite its turbulent historical background, this magnificent Naryshkin Baroque church built at the end of the 17th century has survived until today. 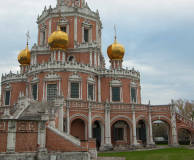 The Vysoko-Petrovsky Monastery is one of the oldest in Moscow. It dates back to the 14th cent, when the fist wooden church was built here. 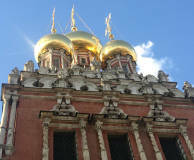 It gained most of its momentum at the end of the 17th century, when its patrons were the Naryshkins and Peter the Great. 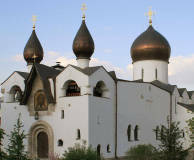 Marfo-Mariinsky Convent is a female stavropegic monastery and one of the most visited in Moscow. 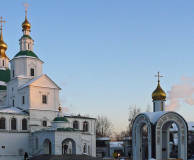 Located in Zamoskvorechye, this beautiful convent has a unique look, being an incredibly unique example of Art Modern church architecture in Moscow. 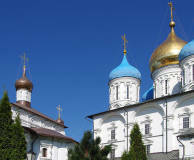 The Danilov Monastery is one of the largest and oldest functioning monasteries in the Russian capital. 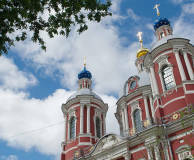 The main cathedral of this Moscow monastery is the Trinity Cathedral built in the early 19th century. Most probably it was designed by architect Osip Bove. 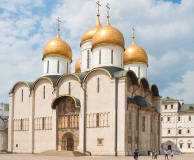 The Church of the Intercession at Fili built at the end of the 17th century is one of the most notable and beautiful Naryshkin Baroque churches in Moscow. 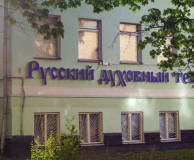 In the 20th century, the church was transferred to the Andrei Rublev Museum of Old Russian Culture. 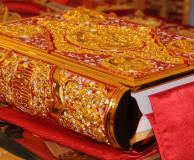 It's impossible to list all the Orthodox sanctities and relics in Moscow. There are hundreds scattered all around the city in various churches and monasteries. One of the key relics among them are venerated icons of the Mother of God, Holy Patroness of Russia. 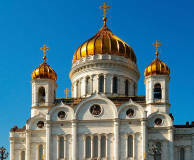 St. Clement’s Church is located in Pyatnitskaya Street in Moscow historic centre. Its majestic building with light blue domes can be seen from afar. 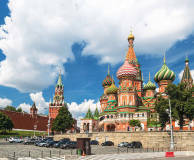 This is one of Moscow’s most famous churches and a unique example of Baroque church architecture. 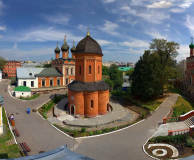 The Ivanovsky Convent, or St John the Baptist’s Stauropegic Convent, built in the 16th century is one of the oldest in the capital. 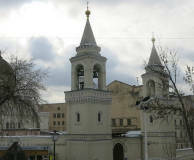 The main church of this Moscow convent is the Beheading of John the Baptist Cathedral. It was patterned after Italian basilicas.